Riveting, dark, and fantastical. Love Is Red is a terrific murder mystery filled with thrills, chills, and plenty of twists and turns that will keep you guessing. Told via alternating perspectives - Katherine and the Sickle Man (aka the murderer) - this book takes you inside the mind of the murderer called The Sickle Man. Let me just say, his mind is creepy and fascinating. The Sickle Man associates emotions with colors and the more women he kills, the more colors he is able to absorb (so to speak). Of course, these women he kills are all just leading up to his true destiny - Katherine. Yep, The Sickle Man is after one lady and apparently its in the cards (or book). Katherine has a destiny of her own that involves The Sickle Man, but she doesn't know it yet. She's just a normal gal living in the Big Apple trying to figure out the online dating world. She's just met David, who seems really nice and sweet. But then there's Sael, who is arrogant and pretty much the anti-David. Hmm...which guy should she choose? The only problem is that one of them may just be The Sickle Man - ack! Talk about dating disasters. 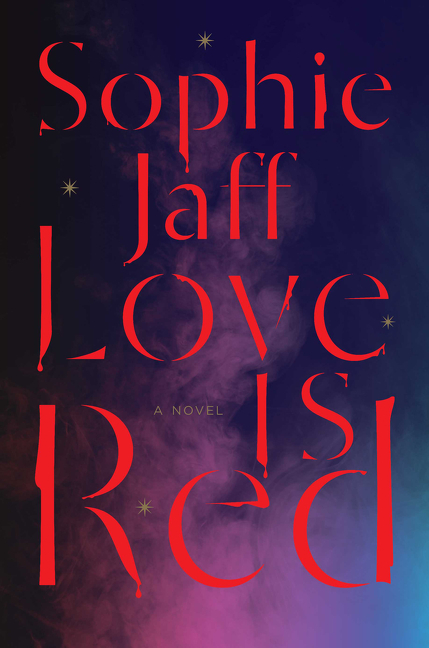 Love Is Red is the first in a trilogy, which means that the ending in this book is really just the beginning. And I can't wait to find out what happens next! This book is truly a treat to read. It is a great mix of suspense, mystery, romance, and the supernatural all rolled into one. The characters are unforgettable and the story is unputdownable! I absolutely LOVED this book! I would happily recommend Love Is Red to fans of murder mystery novels - you will be so glad you read this book! Sickle man?? How scary!! This book sounds rather horrifying. In a good way. Ti, it is! But its so good!! I'll be sure not to pick this one up when I'm home alone ... too creepy for that! Heather, it is creepy! Thanks for having me on the tour - I really enjoyed the book!